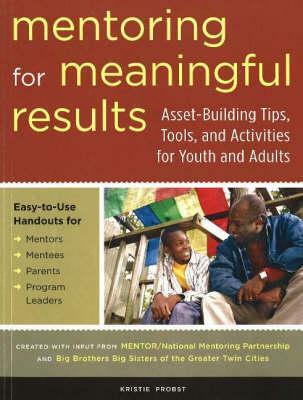 Mentoring gets a face lift in this handbook for fostering a healthy, successful mentoring program. Developed with input from Big Brothers Big Sisters and MENTOR/The National Mentoring Partnership, this guide provides a comprehensive approach that factors in the needs of the entire mentoring team, including program leaders, mentors, mentees, parents, and caregivers. Ideal for schools, organizations, and communities starting new mentoring programs or seeking fresh ideas for an existing one, the included activities address such topics as mentor recruitment, the mentor's role, conversation starters, low-cost activities, and practical ways for parents and caregivers to influence the mentor-mentee relationship. More than 50 reproducible materials provide program leaders with easily administered, ready-made tools and activities.